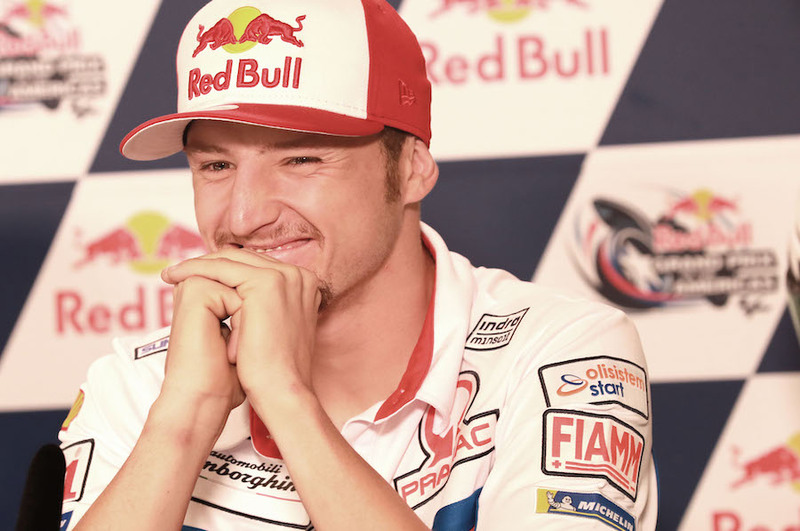 Straight-talking Australian Jack Miller raised a laugh at the pre-race press conference when asked what had made the difference, after his very strong start to the year. “It’s the big thing between my legs,” he said. It made all the straights a huge pleasure, “particularly when there’s a Suzuki in front of you,” he laughed. Having switched from a year-old Ducati GP17 in his first year on the Italian bike last year to a factory-spec GP19 this year, he said the difference was significant in all areas, but particularly in terms of horsepower. 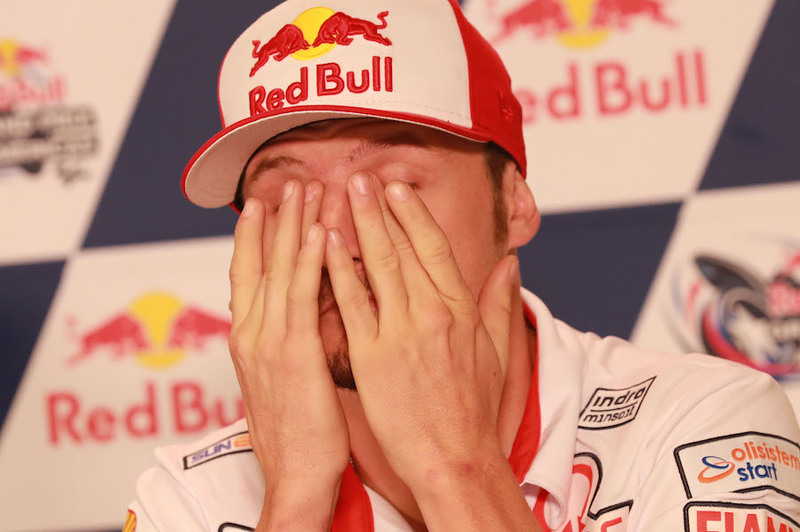 Rossi, Miller, Press Conference, MotoGP, Grand Prix of the Americas 2019.